The co-founder of Zynga Inc (NASDAQ:ZNGA), Mr. Marc Pincus announces the elimination of super-voting rights of his stock. The overall voting rights in the games maker will be reduced to mere 10% from 70%. This makes the company as an ideal candidate for potential takeover. In a surprise move, Mr. Pincus is also stepping down from the Chairman to the non executive role. The dual class share is now converted to a single class share and giving all the shareholders equal rights in the company. All of his super voting shares are now converted into ordinary shares. However, the economic value of the class A common stock will remain the same post conversion. Pincus in a release to Medium post said the company has returned to the strong position. It is time for him to evolve the role and will function as a nonexecutive chairman. He will continue to work with Zynga and will play a vital role in strategic decisions along with Mr. Frank mainly on new platform efforts such as Facebook, Inc. (NASDAQ:FB) Messenger Instant Games. The shares of Zynga has dropped marginally by 2% after the announcement of this change. Pincus now assumed the role of Chief Executive Officer at Zynga. The company now boasts 300 million players around the social games such as Zynga Poker and Words With Friends. The revenues of Zynga in Q1 is reported at $208.2 million (up 7%). It has posted a profit of $5.6 million when compared to the loss of $9.5 million a year ago. The company has projected a net income of $1 million on projected revenues of $208 million in Q2. The increased earnings are based on users trend to increase spending on mobile games. The daily mobile active users of Zynga is increased to 23 million (up 24%), the highest in 4 years. 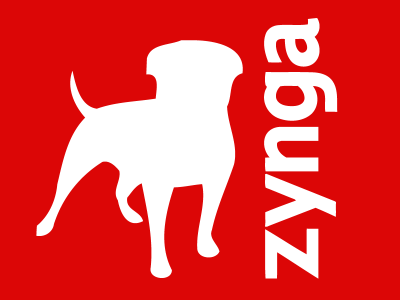 Zynga also staged a decision to repurchase shares worth $200 million. Mr. Pincus said, he has been working hard at the company for the past 3 years and the game teams are offering quality games for the players. The efforts are now paying the rich dividends for the company.